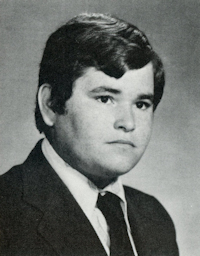 Obituary – Miller, Lance Richard « Perry High School Alumni Association, Inc.
Lance Richard Miller, the son of Jerry Lee Miller and Emaline Gambill Miller was born on July 6, 1956 in Ponca City, OK and was raised in Perry. He attended Northern Oklahoma College, Oklahoma State University, and the University of Central Oklahoma, where he graduated with a degree in political science. After college Lance worked in quality control at Lucent Technologies for over seventeen years before transferring to Farmers Insurance where he worked as a Claims rep. While at Oklahoma State he worked at the Hideaway Pizza and formed a lifelong friendship with its owners, Richard and Marti Dermer. For many years, he would often return to Stillwater on weekends to work at the Hideaway just for the fun of it. He thought of it as his second home. Lance was beloved by family, friends, and co-workers alike. He had a generous, happy spirit, and a wonderful sense of humor. His interests were varied and unique. He loved history and in his spare time dedicated himself to learning about it by reading historical novels and non-fiction works. He was an avid and successful collector of vintage comic books and rare coins. 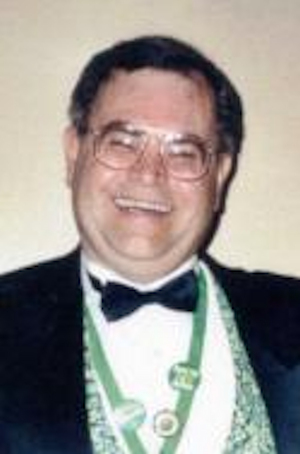 And for 30 years he was a member of the St. Patrick’s Day committee, serving as a co-organizer of the St. Patrick’s Day Parade. His participation on that committee was one of the enduring joys of his life. On January 1, 2017 in OKC, Lance passed away from respiratory failure due to complications from pneumonia and lung disease. He is survived by his sisters Sharron Miller, Judith Miracle, Kathi Miller, and Carolyn McLemore. A service honoring his life will take place at 2:00 pm on Thursday, January 5, at New Covenant Christian Church, 12000 N. Rockwell, OKC with burial to follow at Memorial Park Cemetery in OKC. Visitation will be Wednesday, January 5, from 1 to 8 pm at Buchanan Funeral Service.